What is Required to Purchase Medical Cannabis? In order to purchase medical cannabis from a medical cannabis dispensary, patients must be evaluated by a health care provider for a recommendation – or certification. There are many providers who will authorize the medical use of cannabis. But not all providers will give the patient the education and guidance needed to experience the maximum benefits of cannabis. Dosing and understanding the various cannabinoid ratios (the amounts of CBD and THC in a product) can make the difference between complete symptom relief and expensive, suboptimal results or undesired effects of THC. Once Dr. Frye determines that your condition would likely benefit from medical cannabis, she will provide you with what is required to gain dispensary access in your city or state. DC residents will be given a patient number by the Dr. Frye for their application. The completed application and fee is then submitted to the DC Department of Health. It will take 4-6 weeks to receive a medical cannabis card. 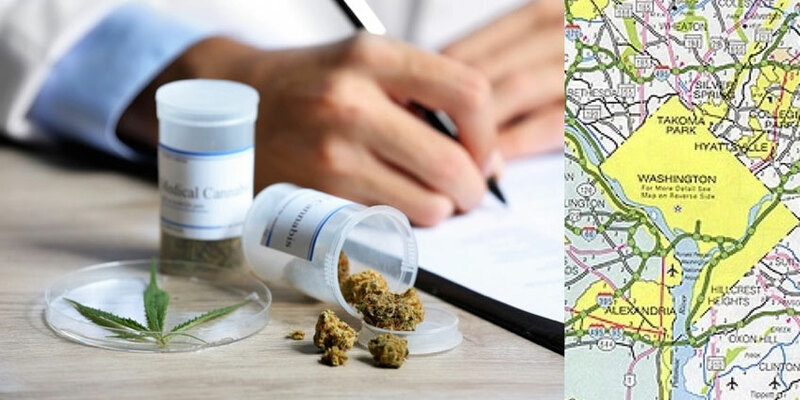 At that time, the patient can enter one of the DC dispensaries. Virginia patients will receive a signed Affirmative Defense certificate that they will need to present in the event they are stopped and questioned by law enforcement. Information on pharmacy or dispensary access for CBD with up to 5% THC and THCA with up to 5% THC will be available once the program is up and running sometime in 2019. In the meantime, Dr. Frye treats many of her patients with commercially available CBD oils and topicals, and with pharmaceutical THC.